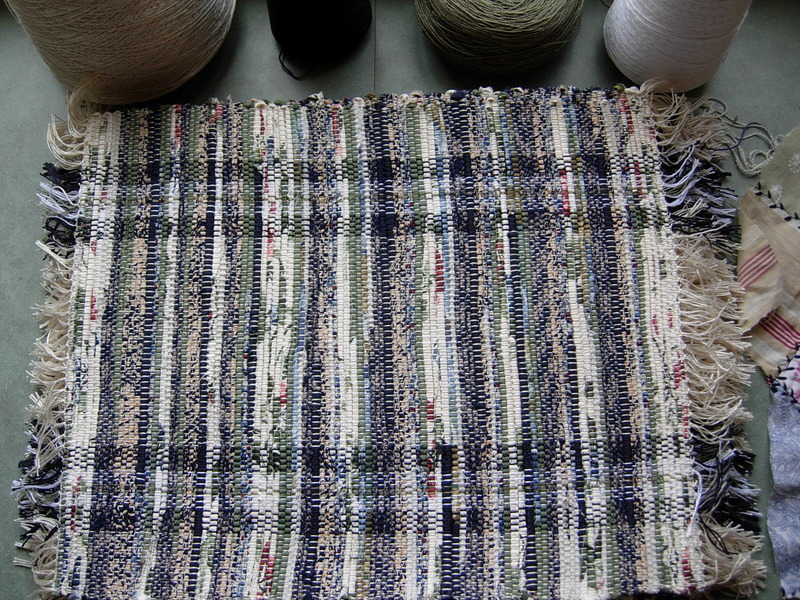 On two different occasions I’ve been asked to weave placemats using beige, olive green and mauve as the main colors. Do you know how many shades of those three colors there are?! Darn…as hard as I try, I can’t look inside someone’s head to see the colors they envision. 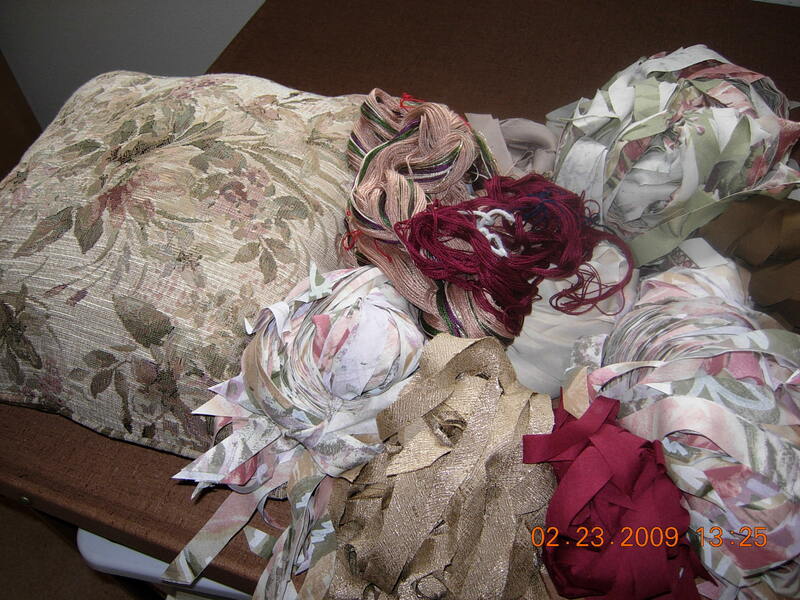 So, in both cases, I insisted on something tangible from the customer as a sample of what they meant by beige, olive green and mauve. 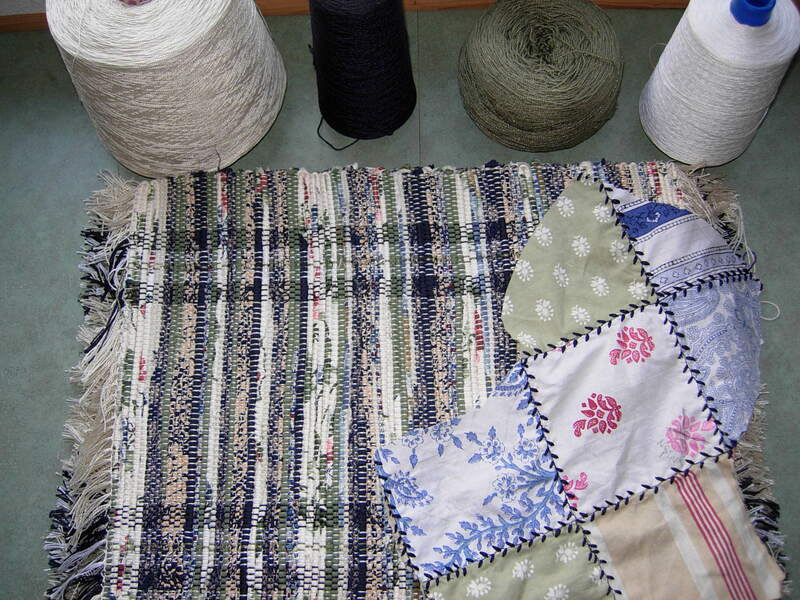 Here’s what is involved in making the placemats: I start by gathering fabrics that contain the colors I am looking for. Then I cut the fabric into 1 ” strips on the bias. 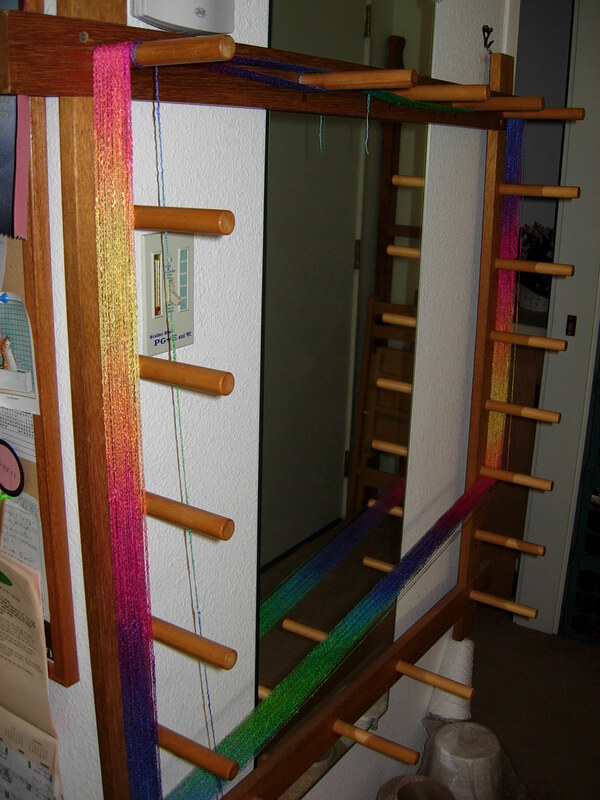 Next, I look through my yarn stash to find yarns (5/2 Perle cotton) to coordinate with the fabrics I have chosen. 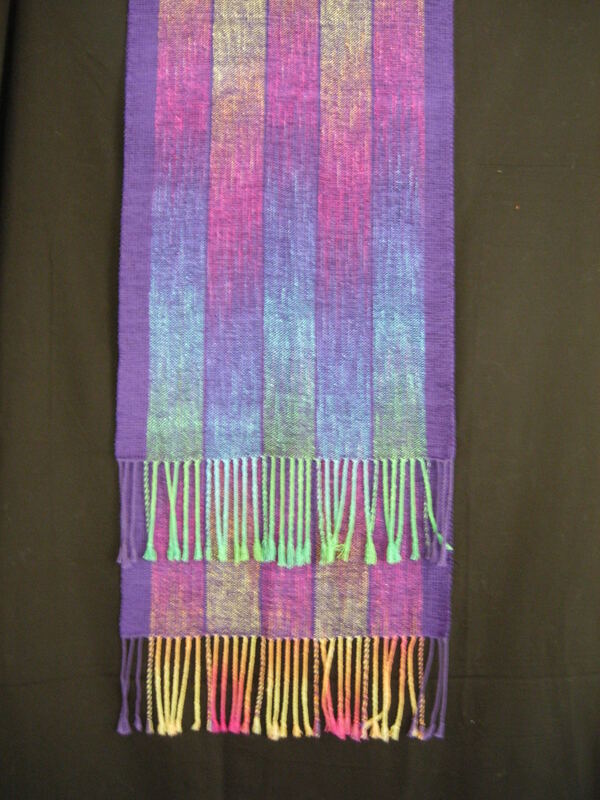 I like to use the Fibonacci numbers to set up the stripes in the warp (lengthwise threads on the loom). 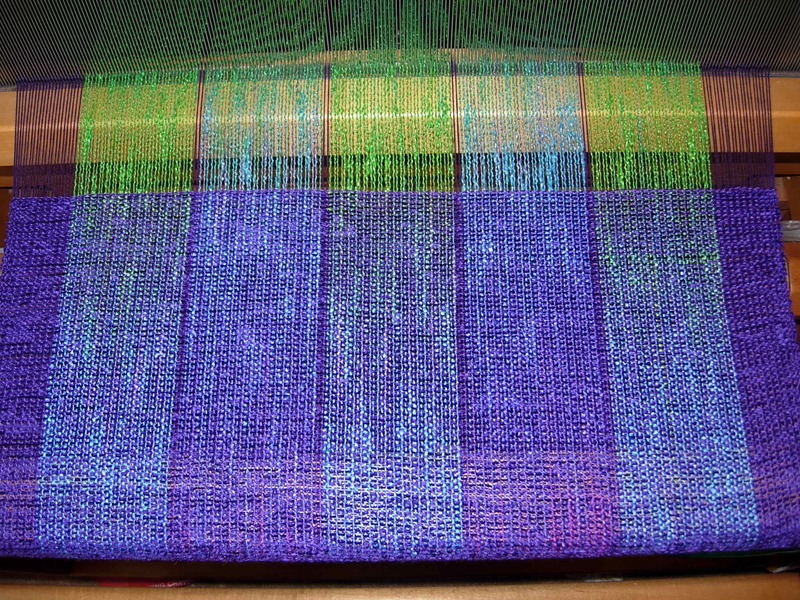 Then, using what is commonly known as the “rag weaving technique”, I weave the fabric strips (the weft) into the warp. 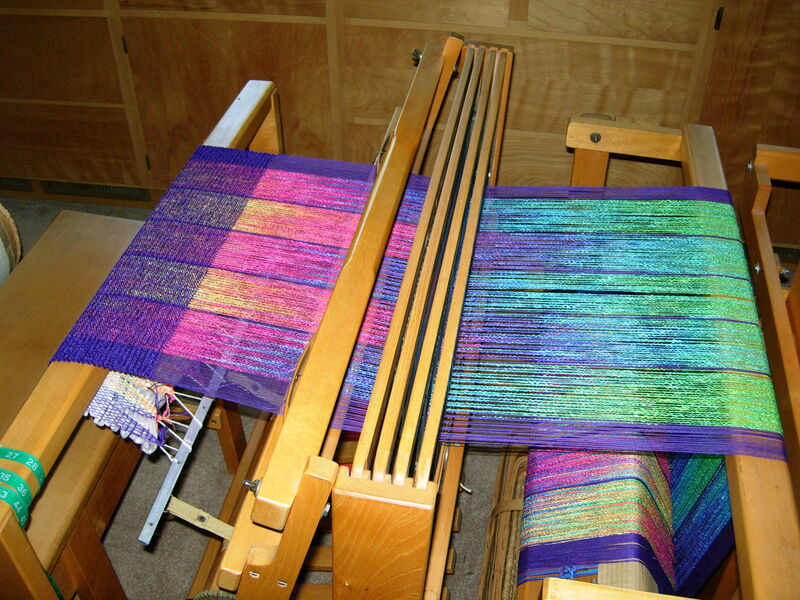 The beginning and end of each mat is finished by hand with a hem stitch while still on the loom. These “rag mats” are great for insulating your plate from the cold table, especially if you eat at a granite or quartz counter. 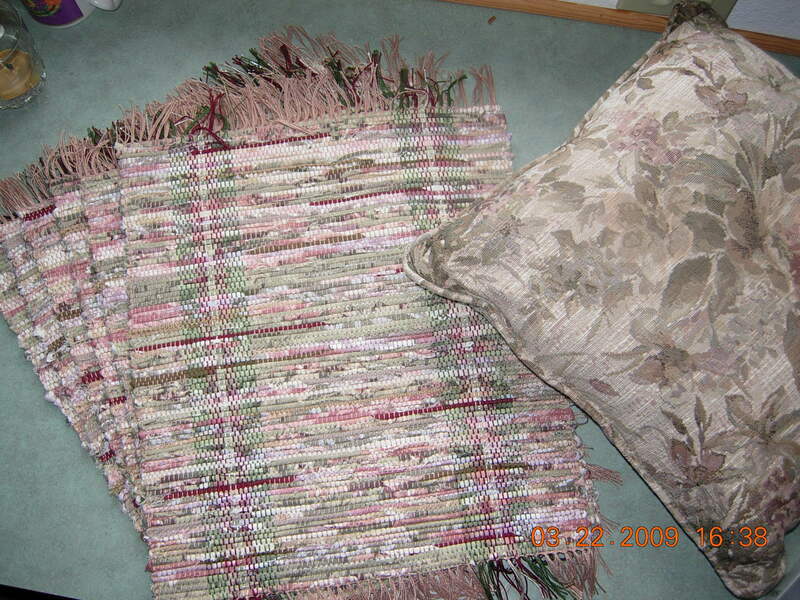 Below are pictures of the more recent example of a consignment using beige, olive green and mauve (with the addition of navy blue) to make placemats. See how different they turned out? 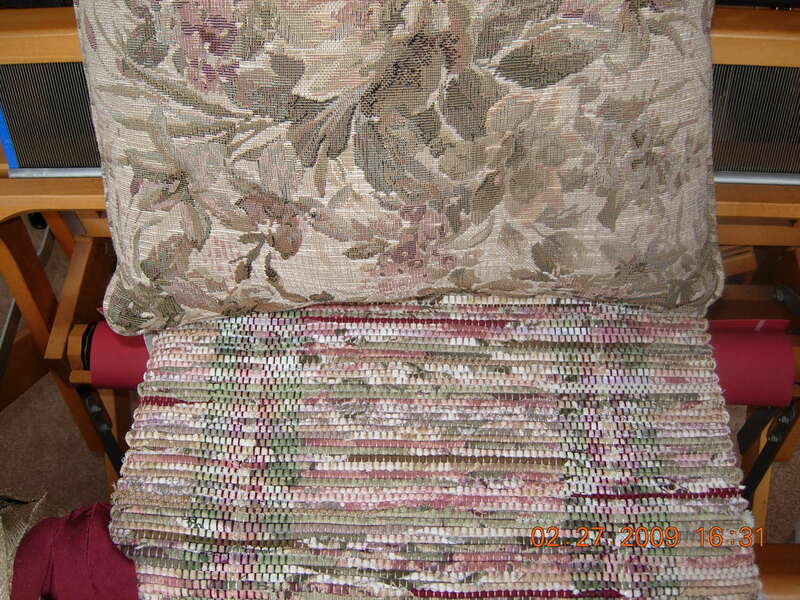 In both cases my customer was pleased with the results. If the customer is happy, I’m happy!